I love male voice choirs. But, like miners and rugby players, bass baritones in blazers have always warbled their way into the handbook of essential Welsh stereotypes. For the past 40 years no English television producer has been capable of making a programme mentioning Wales without sticking a pile of old chaps on top of a mountain to croon ‘We’ll Keep A Welcome’. Turning this valuable tradition into a cliché has made us rather dismissive of the male voice choir. Familiarity does indeed breed contempt. In the same way as our incredible coal heritage has been played down by those wanting to project a cooler Cymru, so choral males have been deemed naff Taff in the 21st century. It took outsiders to recognise the immense importance of mining to modern Welsh identity – Joan Bakewell was among those eulogising Big Pit when it was given the Gulbenkian Prize, one of the most prestigious awards in world tourism. And it took a non-Welshman with an eye for a niche in the crossover classical market to recognise the true worth of the Welsh male voice choir. Remember how Fron MVC – combined age of 3, 979 – achieved the feat of the fastest-selling classical album of all time all because they caught the eye of a former boy band manager at a wedding. It took an insider – in the dynamic form of choral maestro Tim Rhys-Evans – to convince Welsh youngsters that male voice choirs are relevant to their generation by creating Only Boys Aloud. Who’d have thought Calon Lan could make Simon Cowell and co misty-eyed, but traditional Welsh music with a twist captured the imagination of the Britain’s Got Talent audience. Again, an outside perspective reminded us how precious our musical heritage is. Back home, Only Boys Aloud has served as a feeder system for male voice choirs. 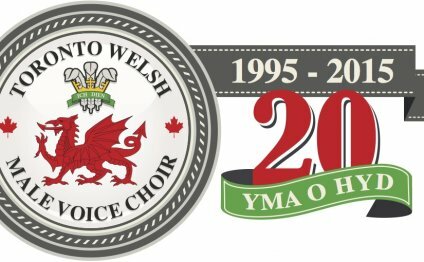 By providing a conveyor belt of youthful singers, Tim is doing his bit to ensure the future of the male choral tradition in Wales is as illustrious as its past. And what a past it is. Tim has written the foreword to a new book on the story of the male voice choirs of Wales called Do You Hear the People Sing, authored by cultural historian Gareth Williams.